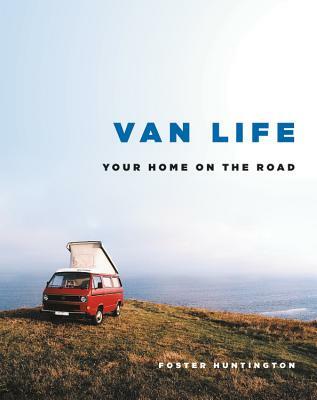 Showcasing hundreds of funky vehicles, awe-inspiring landscapes, and cleverly designed interiors in tiny spaces from around the world, Van Life is perfect for who anyone daydreams about living on the open road. One of these vandwellers, Foster Huntington, created the #vanlife hashtag as he chronicled his adventures living in a van while driving it across the country. He tapped into a community of like-minded individuals looking to explore nature at their own pace and live a debt-free lifestyle. Van Life showcases the best crowd-sourced photographs from Foster's tumblr account, van-life.net, many of which have never been posted. Organized into sections like Volkswagen vans, American vans, converted vans, school buses, and more, the hundreds of photos include shots of the unique vehicles, the beautiful locations they've been parked including stunning beaches, dramatic mountains and picturesque forests, fully designed interiors with kitchens and sleeping quarters, and more. Foster Huntington is a photographer and filmmaker from Skamania, Washington. In 2011, he left his fashion job in New York City in 2011 and moved into a camper van. For the next three years he traveled around North America, driving some 120,000 miles, surfing and camping. He began the popular tumblr account and hashtag, van-life.net, in 2011 and self published a book, Home Is Where You Park It, with photos from his time on the road. He now lives in a treehouse in the Columbia River Gorge in Washington and works on short films and photo projects in his studio. "It's armchair inspiration, a heavy dose of vicarious freedom at your fingertips, and you'll never have to worry about fixing a blown gasket."